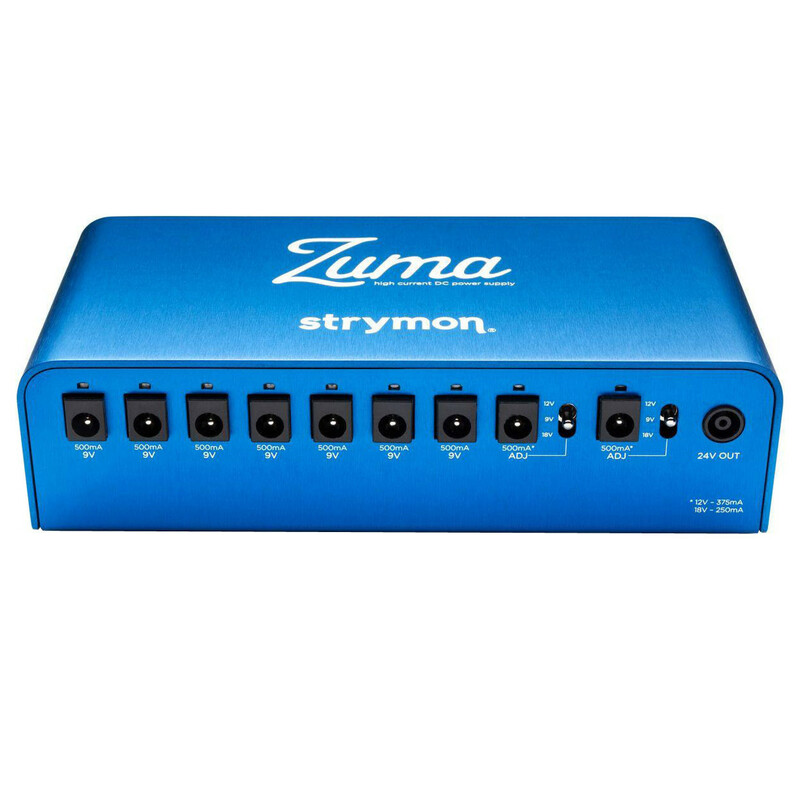 The Strymon Zuma Multi Power Supply features 9 ultra-low-noise outputs that 9V and 500mA of power, with two of the outputs offering 12V and 18V DC options. 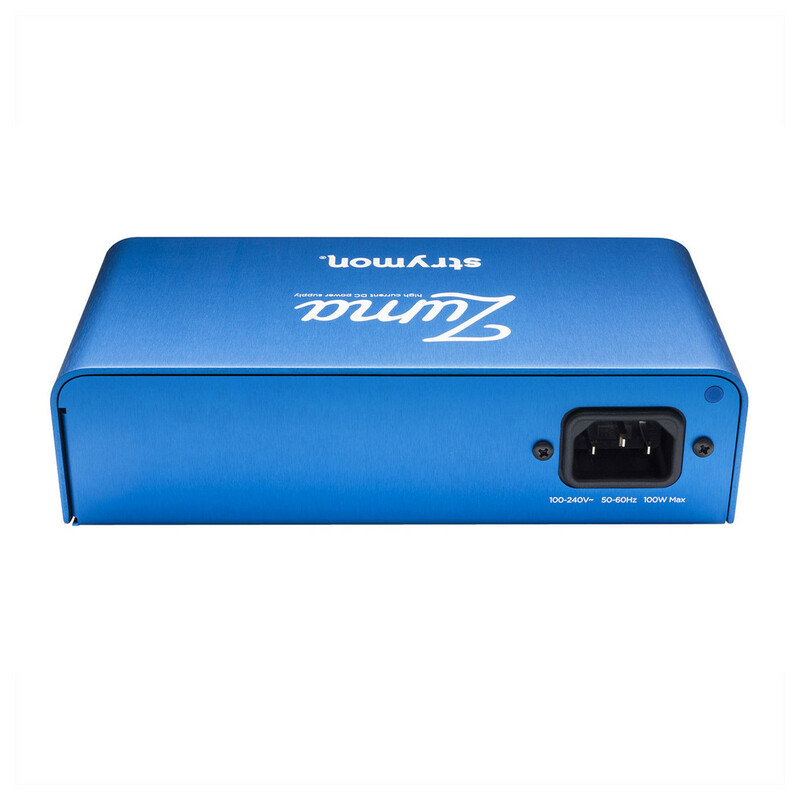 Designed to be compact and lightweight, the Zuma makes sure you have power to your pedals, no matter where you are in the world thanks to its in-built international power compatibility. The multi power supply can be used on its own or connected to Strymon’s Ojai via the 24v thru jack, offering more outputs for your pedals. Featuring individually isolated outputs, advanced multistage filtering, and custom transformers, the Zuma delivers ultra-low-noise, rock steady power to your pedals in a compact and lightweight package. The Zuma Multi Power Supply has been designed to offer incredible amounts of power, as clean and with as little noise as possible. 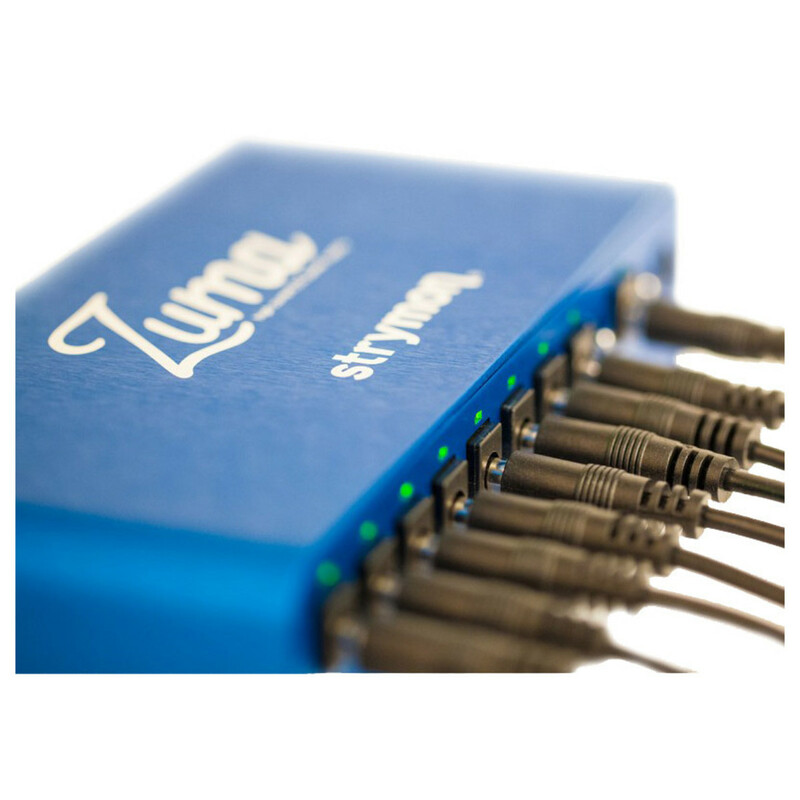 Using advance technology, the Zuma offers nine high-current, individually isolated outputs that feature dedicated regulators and custom transformers to achieve ultra-low-noise. 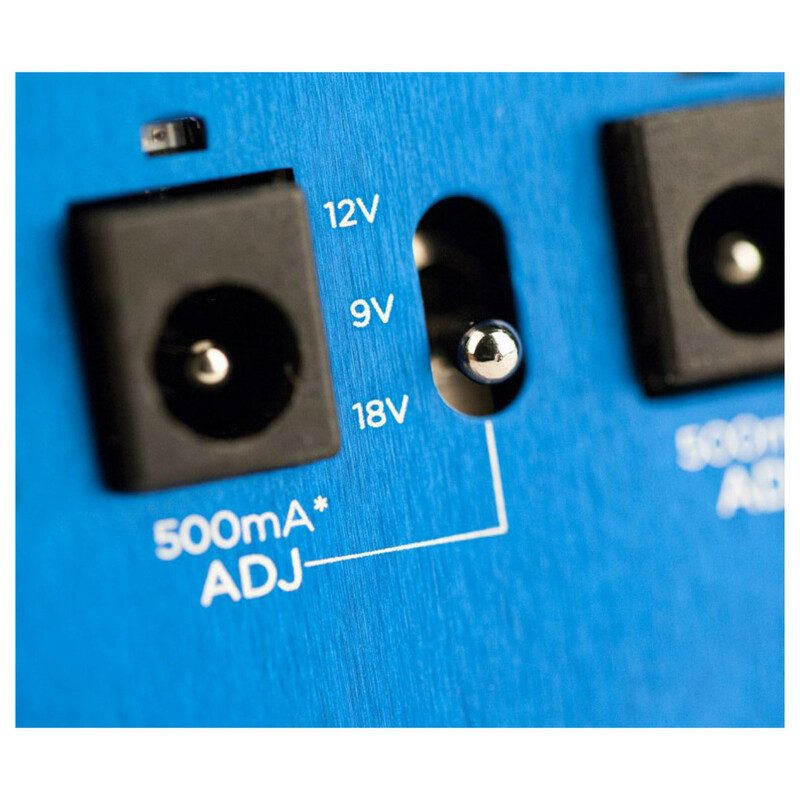 Each of the outputs offer 500mA of power, to ensure that the Ojai can handle even the most power hungry pedals. The power supple has also been designed with duel stage topology, optical isolated feedbacks, and advanced multistage filtering. Two of the outputs on the Zuma feature a switch to switch them from 9V to 12V and 18V, providing you with the option to plug in any pedal that may require that amount of voltage. With a simple flick of the switch, the outputs can provide 500mA, 375mA, or 250mA. Designed with an in-built automatic international compatibility, the Zuma can deliver clean, reliable power no matter where you are. 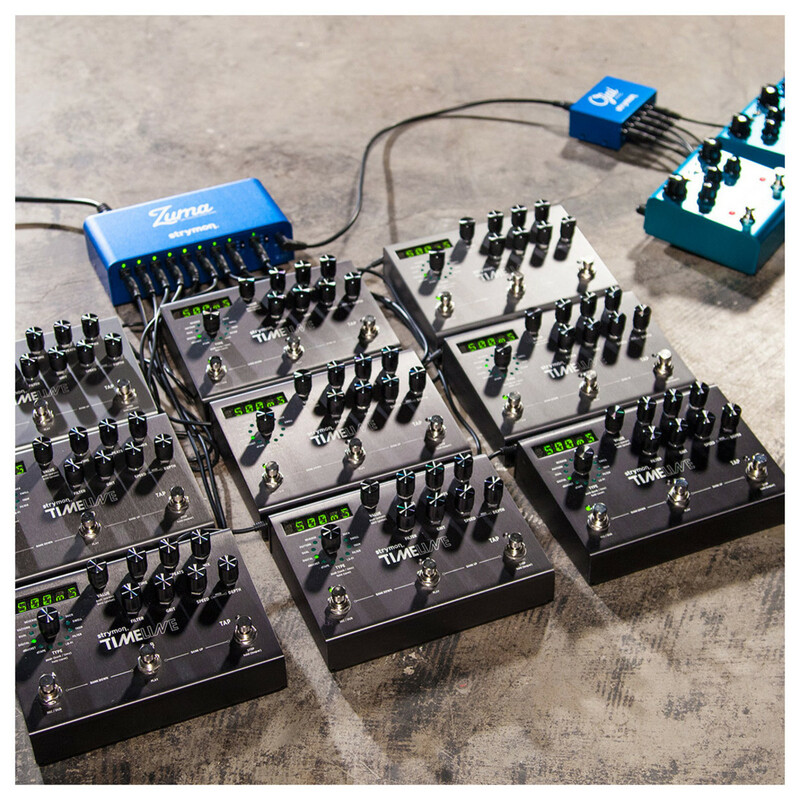 Whether you’re using 100V, 120V, 240V, or any other variation, the Zuma will deliver a clean source, providing you the ability to take your pedals anywhere. 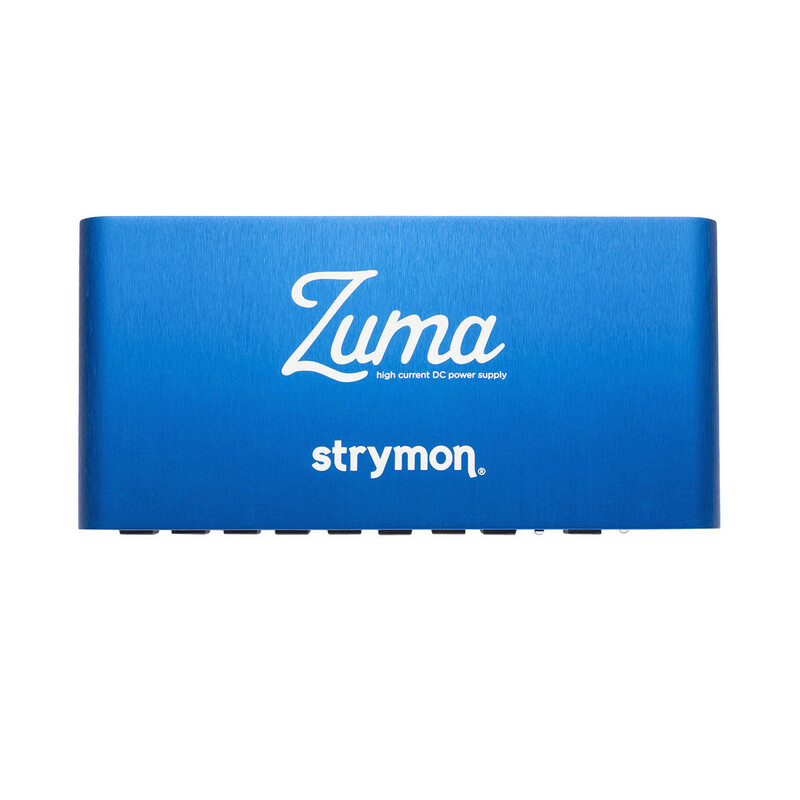 Offering incredible power in a compact way, the Zuma is designed to be as small as possible so it will be easier to integrate into your rig without taking up too much room. 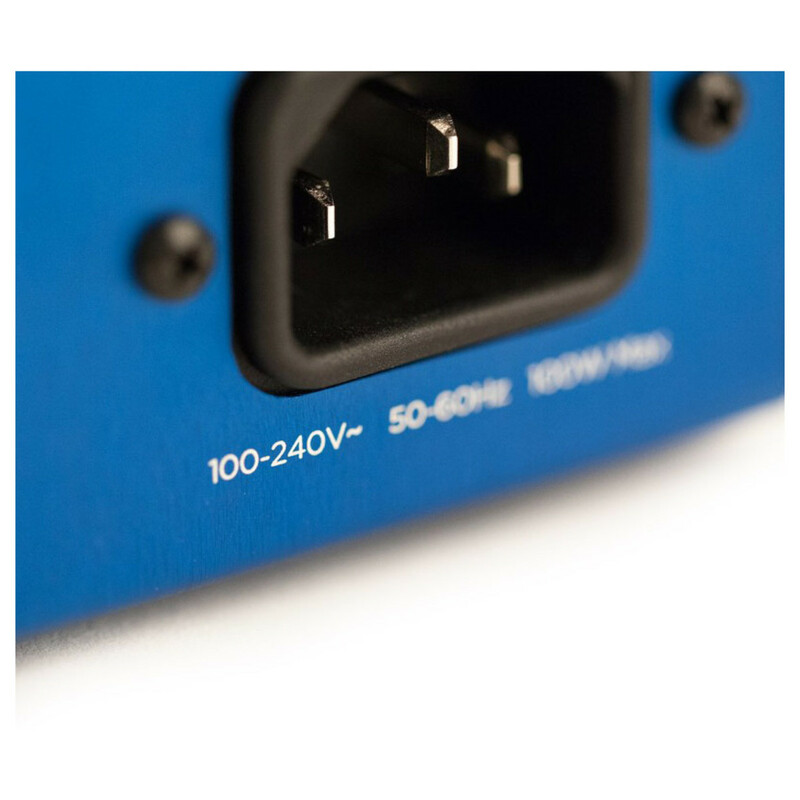 The power supplies circuitry is encased a lightweight and rugged aluminium body and is small enough that it can fit under most pedal boards.